Virtually all college students experience the effects of drinking. Excessive drinking in particular can have negative health and safety consequences for all members of the campus community. Research shows that college students overestimate how much and how often their peers drink alcohol. Virginia Commonwealth University was committed to reducing high-risk drinking on campus by focusing on these social norm perceptions. VCU’s Wellness Resource Center provides brief live interactive normative group (BLING) interventions as a way to increase healthy perceptions and decrease alcohol use. The U.S. Department of Education awarded the university a grant that allowed for continued support of their comprehensive alcohol and drug prevention program. This included provisions for the use of Turning Technologies’ student response solutions and an evaluation of their effectiveness in meeting the program’s aims. BLING then integrated the use of TurningPoint student polling software and student response clickers to anonymously survey large groups of first-year students about drinking behaviors and to provide real-time data during large and small interactive group discussions. Students were active learners during presentations that focused on social norms and misperceptions of drinking on campus. They could instantly see their peers’ responses to questions about alcohol use in the form of easy-to-understand graphs. These data often illuminated common misperceptions of what constitutes normal college student behavior. As a result, the study showed that using student response clickers was highly effective at altering entrenched beliefs about alcohol consumption in comparison to a traditional lecture. Personal perceptions about drug and alcohol use can be sensitive issues to college students. Maintaining anonymity through student clickers provided a safe environment for individuals to be honest and open while eliciting truthful responses. Hancock, L., Vatalaro Hill, K., & Barber, J. (2010). 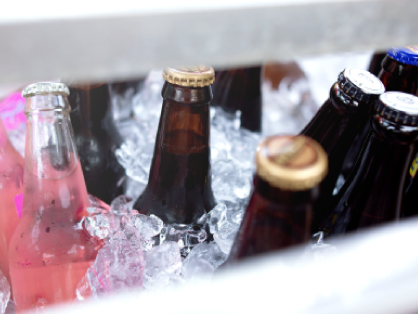 Using audience response technology in brief live interactive normative group (BLING) sessions to reduce high-risk drinking in first-year college students. College Health in Action, 49.